TIPH is finally leaving Israel after a public campaign to expose corruptions and anti-Israel bias in the foreigner observer group. 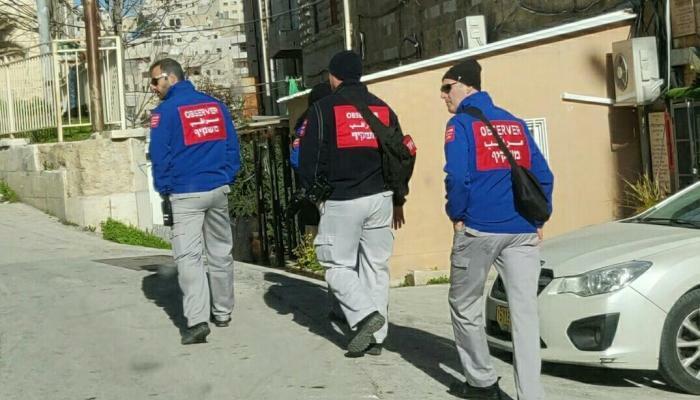 After 22 years, the Temporary International Presence in Hebron will finally end their temporary mandate which saw the group patrolling the streets of in search of human rights violations by Israeli against Palestinian Authority residents. The mandate was renewed every six month. Following Prime Minister Benjamin Netanyahu's announcement that he would not renew TIPH's mandate at the end of January, another foreign NGO, the EAPPI announced they would also leave the city out of fear of "settler violence," although no such incidents against them have been reported the Ecumenical Accompaniment Programme in Palestine and Israel, a program of the World Council of Churches, has also been accused of anti-Israeli bias and harassment of on-duty Israeli Defense Force soldiers. TIPH observers “created an atmosphere of conflict, not a congenial atmosphere of peace," stated Yishai Fleisher, international spokesperson for the Jewish community of Heron. "Jews and Arabs have inhabited the city for decades. We know each other and I'm sure we'll find a way to get along without Norwegian help," he said referring to one of the countries from which the observer come. Fleisher clarified that "everybody keeps using the words 'evicted,' 'ousted' or 'expelled' but no, their term ran out." "Together we proved that it is possible to bring to an end to many years of injustice and folly and to allow for a more reasonable life in the City of our Forefathers," stated Elimelech Karzen, social media coordinator and local activist for the Jewish community. He thanked Im Tirtzu, My Israel, the Yesha Council, and the many Members of Knesset who supported the cause in recent months. Matan Peleg, head of Im Tirtzu group which leads college student trips to Hebron called it "an important move that strengthens Israeli sovereignty. The phenomenon in which foreign governments are working from within Israel to weaken the state must stop. David Wilder, who served as spokesman for the Jewish community for 22 years, celebrated the end of TIPH in an editorial in which he described meeting with members of the group. He described one individual as never having known the Cave of Machpela had a Jewish history. Others had openly met with Yasser Arafat. Another TIPH member asked Wilder why Hebron Jews were apprehensive to the group to which he replied, "how would you feel if strangers who didn’t speak your language followed your children around, filming them everywhere they went?" The Palestinian Authority, and several foreign politicians decried the ousting of TIPH, but some Arab residents are breathing a sigh of relief. British journalist Katie Hopkins visited Hebron in July 2018 and met with both Jews and Arabs in the city. One resident was Ghassan Jabari, a Muslim shopkeeper, who told her that he thought the foreign NGOs were an impediment to peace. "It's all about making money from foundations abroad," Jabari said, adding, "there will be a higher opportunity to find peace" without the flow of money from international organizations. Money is one of the scandals that prompted the Israeli government not to renew the TIPH mandate. In December reports revealed that TIPH has also been accused of bank fraud and other crimes. ‎TIPH’s former chief procurement and financial officer Bennet Nygaard Solum testified "I investigated fraud ‎allegations against three local employees who were ‎accused of drawing checks from the Arab Bank in ‎Hebron. The case centered around checks that were ‎not delivered to a supermarket that was our main ‎supplier,” Nygaard Solum stated in an affidavit. He also spoke of a 2009 previous fraud case which involved "incorrect sums in ‎procurement orders, which didn’t match what was ‎actually received by the purchasing department." Following the announcement not to renew the charter, Haaretz reported "support for it is scarcely found among Palestinians and left-wing activists in Hebron. Many activists, who refused to speak about TIPH, admitted off the record that it did very little apart from going around the city in their white vehicles, carrying easily recognizable red license plates." But the real headlines came this summer when the legal adviser to TIPH slapped a ten-year-old Jewish boy in the face, sending his kippah flying off his head. The TIPH official had been touring the city with the contentious Breaking the Silence group, something not allowed according to their charter. Following the slapping incident, it was revealed that an earlier incident involving TIPH was caught on film. A member of the observer group punctured the tire of a vehicle belonging to a Jewish Hebron resident. In both cases, TIPH hushed up the incident. In December, a special tribute to the Jewish community of Hebron was held at the Knesset attended by top elected officials. One by one, MKs and cabinet ministers praised the Hebron Jews and called for TIPH's ouster. PLO Secretary-General Saeb Erekat bashed Israel for the decision and demanded foreign observers for the protection of Arabs in eastern Jerusalem and throughout Judea and Samaria as well. The idea of having a foreign observer force patrol all Jewish areas over the post-1967 borders was proposed during the Oslo Accords negotiations. TIPH has faced violence from the Arab community in the past. On March 26, 2002 two TIPH observers, Catherine Berruex of Switzerland and Turgut Cengiz Toytunç of Turkey were killed in an ambush shooting by a Palestinian Arab gunman near Halhul, a city adjacent to Hebron. On February 8, 2006 following an attack on their headquarters by rioting Palestinian Authority residents, all TIPH observers were temporarily withdrawn from the city. * WATCH: Snow in Hebron! Amazing photos!